The beautiful game in Barcelona, match day in Manchester, or the roar of the crowd as a try is scored at Twickenham. Every serious sports fan has their favourite team, and all teams have a home base to share with their fans. If you every wanted to know what it feels like to be Sir Alex for an hour then the most popular home of club football in England has to be Old Trafford. As you walk through the tunnel and make your way onto the field, you can almost hear the whispers of the legends of football echo through the stadium. Manchester United has excellent tours of their home stadium, and a museum dedicated to the history of the club and football as a sport. 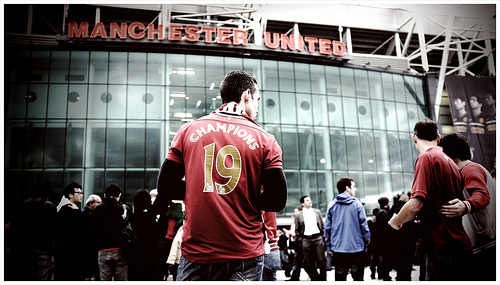 A tour of the Theatre of Dreams is the best way to kick-off your stadium sports tour. Spain is the perfect destination if you are serious about your teams. 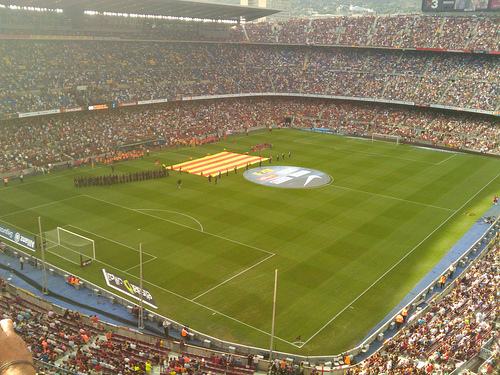 Pay a visit to FC Barcelona and spend a couple of hours at the Camp Nou experience. Open every day, except of course on match day, the tour should be right at the top of your European football stadium tour. Real Madrid fans can spend hours exploring the Santiago Bernabéu Stadium, visit the Trophy Room and the dressing rooms, for some up close and personal interaction with your favourite player. 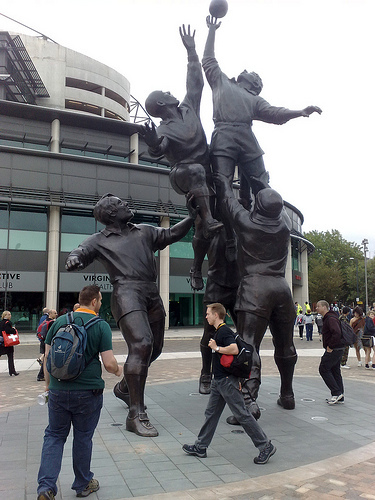 Twickenham is the home of English rugby, and considered the premier sporting venue in the world today. Move over Dallas Cowboys, this is the game that real men play. You can tour the player’s dressing rooms, visit the dizzying heights of the North Stand and make your triumphant run through the player’s tunnel onto the immaculate verdant pitch. Wembley, is a multipurpose stadium, but has a worldwide reputation for excellence and with a tour to the magnificent stadium you will get a behind the scenes glimpse at what it takes to be able to walk onto the pitch to play for England. Players changing rooms, the thrill of experiencing this grand stadium from the field and the chance to spend a couple of hours reliving some of the biggest and most historic games the world has ever seen. You can’t just stay in Europe if you’re a sports fan. Every team has their home stadium and if you’re a serious fan then a visit to the home stadium is the chance to explore, enjoy and marvel at the home of the tea you love. Whether it ‘s a trip to the Emirates Stadium: The home of Arsenal, or a trip to Stamford Bridge for a passionate tour of the club buildings and Chelsea FC stadium, you can’t call yourself a fan unless you’re showing your support to the boys in blue, or red, or white or even striped! Take a trip to Munich to visit the home of Bayern Munich at the Allianz Arena, which is lit up in red, blue or white depending on the team playing. The Melbourne Cricket Club in Australia is one of the oldest stadia in the world still in use, but the Circus Maximus still holds the record for the biggest stadium ever built. Nearly 300,000 citizens of ancient Rome used to pile in on match day to see their favourite “Gladiators” do battle against “The Lions”. Not much has changed has it?